Hip, Hip, Hurrah! Get ready for Ballard’s historic Syttende Mai Parade. Visit the Fjord horses and have your kids hitch a ride on the Scandinavian Express train, or raise a toast to Norway’s Independence in the beer garden. Following the Syttende Mai Luncheon, the North Stars Youth Orchestra will hold an open rehearsal for their upcoming concert, featuring a Norwegian repertoire that will include selections of Evard Grieg’s music. We're delighted to announce this year's Grand Marhsal: Ketil Solvik-Olsen.Ketil is a former Norwegian minister of Transportation and Communication, and currently lives in the United States as his wife has a medical fellowship in Birmingham, Alabama. He is involved in various transportation and logistics efforts as consultant and advisor and will be here to attend the Nordic Innovation Summit on May 16. If you are interested in walking with the Museum in the parade, please contact volunteer coordinator Timothy Krumland at [email protected] or 206.789.5707 x7012. Cost: Syttende Mai activities are free; regular admission applies to Museum exhibits. 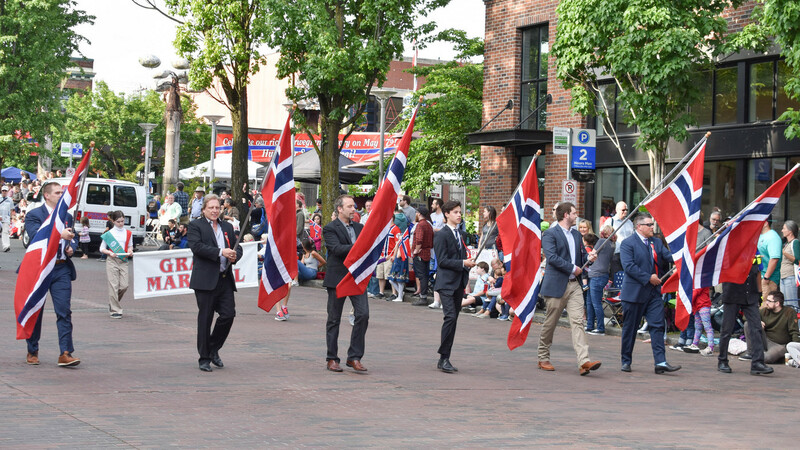 Note: The Nordic Museum does not produce the parade or activities; tickets to the Luncheon or other portions of Syttende Mai are sold through the Nordic Museum. Tickets to the Luncheon are sold out.